Australia and India are poised at an historic moment in their relationship. Building on recent positive steps, the links between the two democracies now need sustained creative thinking and efforts on the part of government, business and society to strengthen them further. This will ensure the relationship attains the vast potential offered by the two nations’ exceptional economic and societal complementarities and their convergent strategic interests in the Indo-Pacific region during this Asian Century. 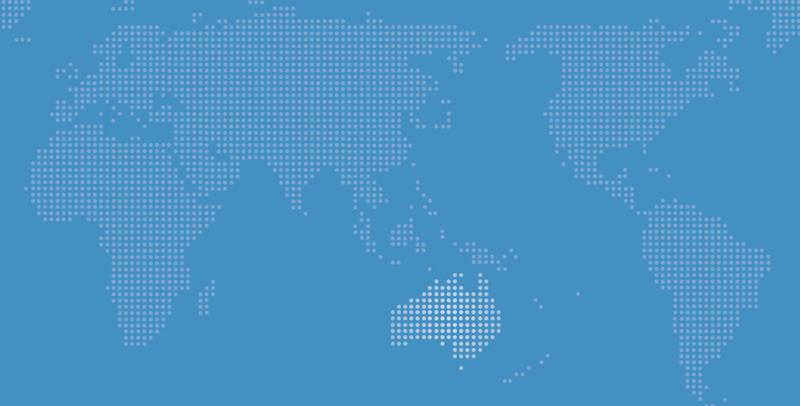 These were among key conclusions in the co-chairs' statement from the Australia-India Roundtable, the leading informal dialogue between the two countries, when it met in New Delhi on 4 and 5 December 2012. This year the dialogue was addressed by Australian Minister for Resources and Energy Mr Martin Ferguson MP and focused on energy security, among other issues. The Lowy Institute's Rory Mecalf is the dialogue's Australian co-chair. The Lowy Institute convened the dialogue along with the Australia-India Institute, University of Melbourne, and the Observer Research Foundation, which this year hosted proceedings. The dialogue is supported by the Public Diplomacy Division of the Indian Ministry of External Affairs and the Australia-India Council of the Australian Department of Foreign Affairs and Trade. The candid closed-door discussions ranged across energy security, trade and investment, the Indo-Pacific strategic order, defence ties, multilateral cooperation including in the East Asia Summit and the G20, Indo-Pacific strategic order, defence ties and the growing role of state governments in bilateral relations. The full outcomes statement is presented below. The relationship between Australia and India is poised at an historic moment. Consciously overcoming a challenging period, leaders of the two countries have realised new levels of mutual trust and confidence that are in turn generating policy momentum. With new positive impulses at hand, links between the two democracies now need sustained creative thinking and efforts on the part of government, business and society to strengthen them further. This will ensure the relationship attains the vast potential offered by the two nations’ exceptional economic and societal complementarities and their convergent strategic interests in the Indo-Pacific region during this Asian Century. These were among key conclusions reached by participants at the Australia-India Roundtable, the leading informal dialogue between the two countries, when it met in New Delhi on 4 and 5 December 2012. The dialogue involved a candid and dynamic exchange of insights and assessments between more than 50 experts, officials, parliamentarians, business representatives and journalists from the two countries. These conversations have resulted in a host of ideas for leaders and policy-makers on both sides to consider and act upon. The Roundtable was hosted by the Observer Research Foundation with Australian partners the Australia-India Institute, University of Melbourne and the Lowy Institute for International Policy, Sydney. It was supported by the Public Diplomacy Division of the Indian Ministry of External Affairs and the Australia-India Council, Australian Department of Foreign Affairs and Trade. Inaugurating the Roundtable, the Australian Minister for Resources and Energy, Mr Martin Ferguson MP, gave a forthright assessment of global as well as regional energy scenarios and trends. This topic was one among the six themes covered during the Roundtable: energy security and cooperation; strategic assessment of the Indo-Pacific region; economic relations; the role of cities and states in creating external linkages; maritime security; and new frameworks of governance and diplomacy. The relationship is advancing well, with the October 2012 visit by Australian Prime Minister Julia Gillard marking major progress on key fronts. Differences over civilian nuclear energy and Australian uranium exports are being addressed purposefully. Bipartisanship on this issue in Australia now provides a basis for new levels of political trust in relations with India. Australia and India share strong interests in a stable multipolar regional order in Indo-Pacific Asia, spanning the Asia-Pacific and the Indian Ocean littoral. The two countries should step up their coordination and help in shaping the emerging regional diplomatic and security architecture in this time of flux. This could include working together to bolster inclusive regional institutions such as the East Asia Summit, while also being open to creative and functional arrangements such as three-way dialogues with Indonesia or other partners willing to contribute to the regional order. The creation of an Australia-India-Indonesia troika in the Indian Ocean Rim Association for Regional Cooperation is a promising start, and could provide a basis for a maritime security dialogue among the three countries. India and Australia should deepen their security collaboration, including through regular bilateral naval exercises. Potential areas for future defence cooperation include development of amphibious capabilities, submarine rescue, operational communication links, and maritime domain awareness in overlapping zones of interest in the Indian Ocean. The two nations should bring together maritime legal specialists to develop shared understandings on critical regional issues such as freedom of navigation. The two countries should maintain and deepen their dialogues with China and other powers, including to provide reassurance about the stabilising nature of deeper Australia-India security relations. The two countries should work towards an Indian Prime Ministerial visit to Australia and consult closely in the lead-up to the 2014 G20 summit in Brisbane. With Indians comprising one of the largest and fastest-growing communities in Australia, there is great scope to harness societal links to strengthen political and business ties. It is essential to build constituencies to champion Australia-India relations in both countries during future potential phases of trouble, which occur in any bilateral relationship. There are strong complementarities between Australia and India in the field of long-term energy co-operation. An Australia-India energy partnership should cover the full mix of energy sources. It was inevitable that coal and natural gas would continue to play a major role in India’s energy security. Australia and India should therefore redouble efforts to bring together industry and research communities on clean coal technology and to share experience on sustainable mining practices. The timing is right to move towards market based models of co-operation that could provide a long-term and stable foundation for the flow of investments as well as energy resources between the two countries. A full energy partnership would require clear benchmarks and processes for Australian investment in Indian mining, the transparent operation of energy markets, and the facilitation of two-way investment in energy and resources infrastructure. There is scope for joint Australia-India work on hybrid solar, wind and diesel units which could operate independent of the grid and provide reliable, base-load power to remote communities. In education, emphasis should be placed on sharing Australia’s experience in vocational education and training, as well as on delivering Australian tertiary education in India. This wider range of education links should be developed alongside more creative arrangements for skilled labour mobility to suit the needs of the two economies. Australian institutes should consider a full range of ‘offshore’ skilling initiatives to target the demographic needs and opportunities in India. The common character of the two countries as federal democracies should be used as a multiplier in advancing bilateral ties including in trade and culture. Direct relations between Australian and Indian states and cities should be encouraged to complement the work done by national capitals. These state-to-state and city-to-city relations should include the sharing of best practices in service delivery and development, skilling and education.